1. Include the meeting date, start and end time, conference line/webinar link, and expected attendees. 2. Provide the agenda at least 24 hours in advance. You can always add to the agenda, but it’s important to let the attendees know the key points prior to the meeting. Set a reminder email or text message to go out to attendees 30 minutes prior to the meeting. It is important to start and end your meeting on time. If there are latecomers to the meeting, address them one-on-one afterwards. 3. Prioritize the topics discussed with most important topics first, and note the key person presenting on each topic. 4. Timing: Be realistic on what you can cover in the time you set for the meeting. Set a specific amount of time for each topic. If you’re meeting goes over an hour, consider scheduling a short break. 5. 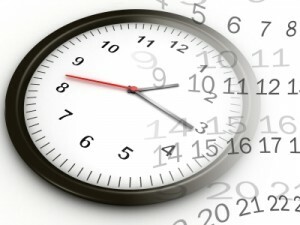 Designate a time-keeper: You may already have an employee that checks the clock; let this person be the time-keeper! He/she can be the one to say, “It’s time to move on to the next topic,” so you can keep your mind on the discussion, not your watch. 6. Remind your team to stick to the agenda. Make sure your employees know you are listening to their suggestions. These topics can be tabled for the next meeting, or perhaps their ideas are better for a one-on-one discussion. Either way, stick to your agenda. 7. A quick (approximately 15 minute) weekly team meeting is a great way for you to keep track of your team’s projects. Start your meeting on a positive note with a list of accomplishments since your last meeting. Then check-in of each attendee and review last week‘s progress. If there were any items that were supposed to be done from last week’s meeting, be sure to have this list to ensure these items were done. Follow with a review of this week’s projects and questions. Finally, look ahead at what’s coming up. Figure out next steps and prioritize. 8. Closing: End the meeting with a review of to-do’s. Make sure everyone is clear on the decisions made and who is responsible for following up on agenda items. Thanks Jen! We hope you'll give some or all of these tips a try and tell us what you think on Facebook and follow us on Twitter (we follow back). We help busy business owners become more strategic with their time. or help your team prioritize and execute tasks post-meeting. Just ask! Conference Calls have been around for what seems like forever and they are still an efficient way to bring people together to discuss a specific topic. 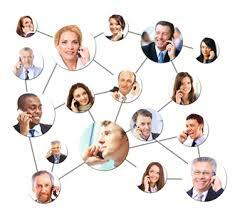 There are many conference call services available online for free and/or a monthly fee. These service providers give businesses, large and small, options and a multitude of features that can improve the effectiveness and quality of a conference call.